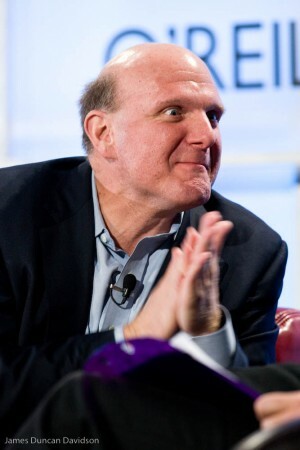 Looks like analyst Trip Chowdhry was completely wrong when he said that Microsoft’s CEO Steve Ballmer will attend the WWDC Keynote. According to The Loop, Microsoft denied that in a Twitter message posted on their official Twitter account: @microsoft. WWDC 2010 will start on June 7th with a keynote by Apple’s CEO Steve Jobs. Photo by James Duncan Davidson who approved using it here. As much as I hate Microsoft, yet it hurts to see a giant age, on a dying bed or take its last breath!